Love the title “only in America” the loser who wrote this article should do a little research about executions. 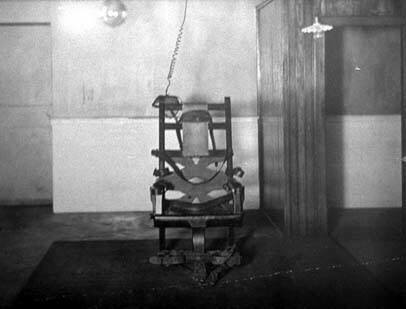 The electric chair is Micky mouse compaired to the suffering every other country has done. (except for the US, which has never used any of these methods) France, Britain.. all of Europe for that matter executed hundreds of thousands by horrendous means that you were alive for 90% of. let’s see…Burning at the stake, drawn and quartered, disembowelment, four winds, garroted, (sure you will have to look that one up cause you apearently did no research) beheading, hanging, streching, pressed to death, stoning, impaling at the stake, boiled alive, 1000 cuts, bleeding, wrapped in bag and thrown into a river, and a thousand other ways, and you dare to criticize the electric chair that every neurologist has said in afidavits renders anyone unconcious is 1/240th part of 1 second 24 times faster than the brain can process pain. What a joke of a site!